Biography CJ Stone aka "Andreas Litterscheid" succeeds for more than 15 years in the music Industrie. and is one of the most talented djs and producers of the club and pop scene around the world, capturing the attention of audiences worldwide for years. He has done it all on his own and definitly on his own term. It is hard to believe that this man discovered his love for music in his early years of 12 when he started mixing his own tracks together with cassettes and 2 recorders. It didn..t take a long time until his songs got party hits and he got his nickname ..CJ.. (cassette-jockey). A few years later he started working his work as a dj and he decided to call himself CJ Stone. But dj..ing wasn..t his only talent. His attention got more and more into producing and now as an internationally known star who has built his network of fans literally through his own tracks like ..Infinity.., ..Shining star.. , ..Into the sea.., ..The sun (goes down).., ..Don..t look back.. Be Loved, In the redlight or Freak out (together with Jean Elan). He has released on some of this globe biggest labels like “Kontor, Armada, Sirup, Electronic Pleasure and many more. 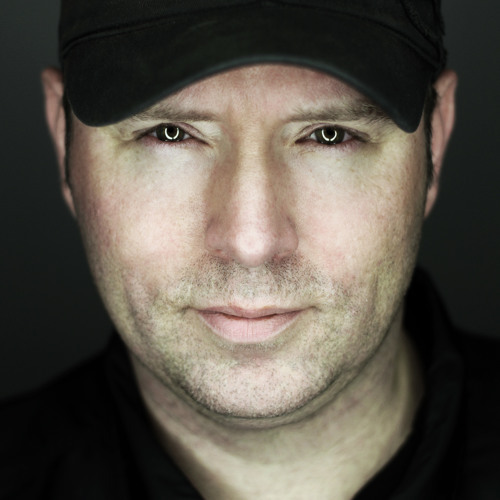 His high quality remixes for well known international artists like Tiesto, Robyn ,Snap, Kyau & Albert, Benny Bennasi ,Silver , N´Trance or Culture Beat just to name a few helped hem to gain the name CJ Stone well known all around this Planet. Bookings and travels all around the Globe like Canada ,Russia , USA, Europe followed, and rocking many of the world..s best clubs and partys are on his standart daily program now. His own tracks like ..Be Loved.. shot without detours on the foremost places of the European dance charts. His remix for Ultrabeat ..Pretty green eyes.. was placed in the top 10 in the English sales charts for more than 3 months and sold more than 200,000 copies!!! ..Mr. Vain recall.. a remix for Culture Beat went straight into the top 10 of the German sales charts and reached gold status. Same did the title ..Turn the tide.. for the belgium act Sylver and also for Snap Rhythm is a dancer 2003 entered possion #4 in the german salecharts. Hes name got in a short time so well known that hes also doing Productions like ..Cold Blood.. for Voodoo&Serano which was exclusive produced for the Hollywood Blockbuster Blade II. For the FIFA®World Championships 2006 - together with his partner Reinhard Raith (DJ Voodoo) - he produced the album ..Goleo 6.., including ..Dance.. sung by Lumidee feat. Fat Man Scoop as well as ..Alltogether.. by Atomic Kitten. 2008 he created the number one for Shaggy “ Feel the Rush” the official Uefa hymn of the EM 2008 was placed on #1 in German Salecharts! He is also producing the official Uefa hymn for EM 2012 Ukraine, Poland with Oceana. 2011 he started with 2 partners Michel Beugel and Adrie Berk their own label Soundz Good with the Sublabels “Electronic Pleasure, Refuge and Refuge Digital. Andreas Litterscheid was able to make his name well known as a producer in pop and also in dance field. Even so for him it is very important to display his love of club and dance music under his stage name CJ Stone. CJ Stone - is definitly a name to watch for in the future !